Timing is everything. I'm happy to have time between Query Kombat rounds for this wonderful post from Piper Huguley on how she got her publishing contract. And it's just in time for the release of her upcoming book A VIRTUOUS RUBY. What a stunning cover! I have to do a preorder right now! I never thought that when I got the call, I would have to chose between two offers. I always assumed that I would have no choice—I would just have to go with whomever offered a contract to me. I mean, I write in a genre that really doesn’t exist—inspirational African American historical romance. Social media is responsible for my getting contracts. I didn’t think it would happen that way either. If it weren’t for Twitter and Facebook, no contract. And both offers came about as the result of a call for submissions. A small e-pub made a call for submissions and I submitted to them. Latoya Smith, who was at Grand Central, made a call on Facebook for African American submissions. She asked for a number of genres, but not historical. I inboxed her (good thing she didn’t think I was a stalker person) and asked her if a historical would be okay to submit. She said yes. In early February 2014, I submitted A Virtuous Ruby to both places. And waited. While I waited, I readied myself to self-publish. The Golden Heart nominations were announced and then the quarter finals of the Amazon Breakthrough Novel Award contest. I did have a lot of time to spend thinking about where the submissions were. Early in June though, Latoya sent me the most positive rejection from Grand Central saying that the board thought the numbers would be too small to acquire it, but if I had something contemporary she would like to see it. Well, I had nothing contemporary. Didn’t hurt my feelings though. I’ve heard the whole “small audience” argument before about my stories. About a month later, I heard from the small press that they were going to take Ruby to the publication board. It would take about five weeks for them to let me know. Interesting. I wondered why it would take that amount of time, but okay. Shortly after, I received an inbox message from Latoya saying that she was leaving Grand Central for another publisher and she wanted me to submit once she settled into her new job. She didn’t say where she was headed but the announcement would be at the upcoming RWA conference. While I was at RWA, I was in a room listening to a historical presentation when a cheer came up in the next room where Samhain was conducting a spotlight. I found out later that the cheers were for the announcement that Latoya Smith was joining Samhain as an Executive Editor. Knowing that Latoya was coming to Atlanta for a conference, I inboxed her to ask her if she wanted to meet. I guess I wanted to reassure her that I wasn’t crazy, but looking back on it, maybe my actions were saying something else…..:) She responded kind offer to take me to breakfast. Over breakfast on August 5 (of course I remember the date), we had a lovely conversation. She would settle into her job soon and I would be able to submit A Virtuous Ruby shortly thereafter. About three weeks later, I heard from the small publisher. They wanted to acquire the entire “Migrations of the Heart” series. I hadn’t heard from Latoya and so I contacted her and asked if this was the time to submit. She said it was and so I did. About two weeks later, Samhain offered three contractions for the first three stories in the “Migrations of the Heart” series. I never thought I would have to decide between two contract offers. But I did. When I reviewed the contracts, I knew that Samhain was the best place for my stories. That is my call story. And it may not be the story that you thought I would tell when the time came. But there is this thing about God’s timing. And I believe in it. You see, I first met Latoya at a Moonlight and Magnolias conference in 2012. She offered to talk to a group of writers in a room during a down moment in the conference. I backed out. I did not go. Why didn’t I go? Because I wasn’t ready. Now I am. I’m looking forward to the journey and in seeing the stories of Ruby and her sister emerge in July, September and November of 2015. One more thing about God’s timing-- 2015 was my target date all along—it is the one hundred year anniversary of the start of the Great Migration--the historical event that is the backdrop of the “Migrations of the Heart” series. 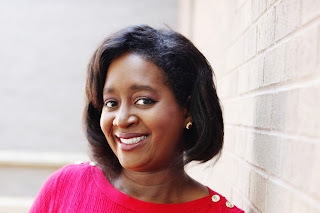 Piper Huguley, named 2015 Debut Author of the Year by Romance Slam Jam and Breakout Author of the Year by AAMBC, is a two-time Golden Heart ®finalist and is the author of the “Home to Milford College” series. The series follows the building of a college from its founding in 1866. On release, the prequel novella to the “Home to Milford College” series, The Lawyer’s Luck, reached #1 Amazon Bestseller status on the African American Christian Fiction charts. Book #1 in the series, The Preacher’s Promise was named a top ten Historical Romance in Publisher’s Weekly by the esteemed historical romance author, Beverly Jenkins. set in the early 20th century featuring African American characters. Book one in the series, A Virtuous Ruby won the Golden Rose contest in Historical Romance in 2013 and was a Golden Heart® finalist in 2014. Book four, A Champion’s Heart, was a Golden Heart® finalist in 2013. A Virtuous Ruby will be published in July 2015 by Samhain Publishing. Thank you for having me here today Michelle! What a great story, Piper!!!! And definitely a total departure from what I thought the call story would be like. Congratulations! Your perseverance and belief in yourself and your writing is truly inspirational. 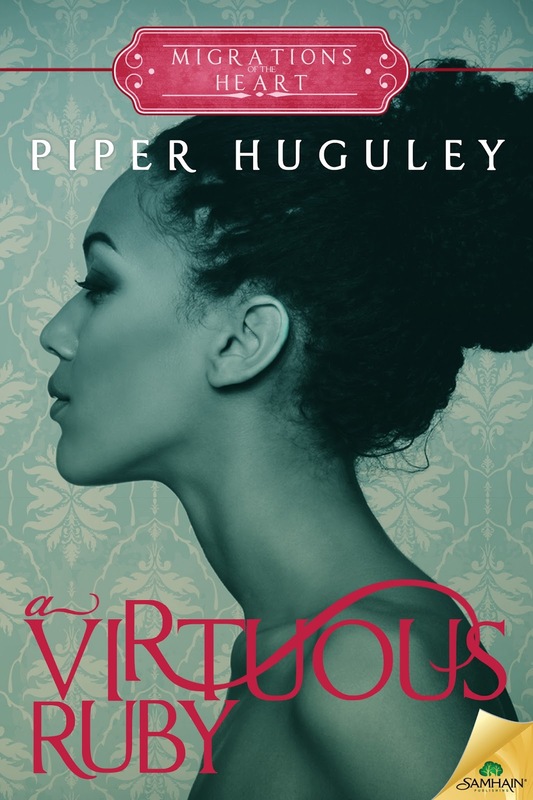 Can't wait to read A Virtuous Ruby. Thank you so much Kav! I appreciate your kind words! I love your story Piper! God's timing is everything. It sure is! Thanks for stopping by, Kwana! I find so often that God's time was the right moment, even when I thought I was ready sooner. Great story! So true Louise! Thank you for your comment! Huge congrats Piper! Thanks for sharing your journey...can't wait to read Ruby's story! Thanks Timitra! I hope you enjoy it! Kristen, thank you so much! I'm so happy you stopped by! It was a pleasure Lena, thank you for commenting! Congrats! Your books sound awesome!! Piper, what a wonderful example of patience, persistence, and God's grace! I'm proud to call you SIL!! Congrats, Piper!! So happy for you. Now I can say, I knew you when.